Fall is here and it’s time to get our mind set on all the fun Fall baking opportunities that arise! 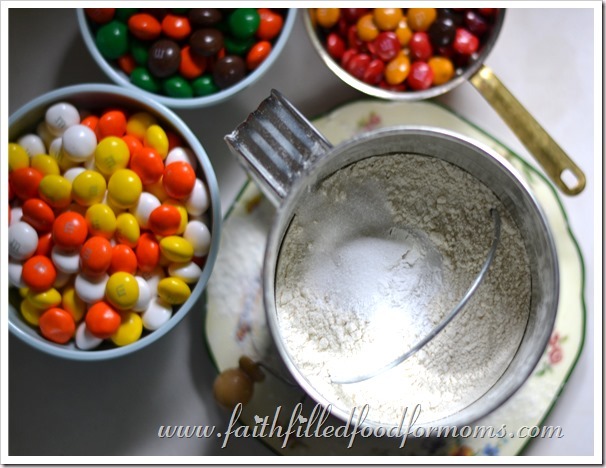 There are hello’s and thank you’s to new Teachers, Harvest Parties, Bake Sales, Birthdays, Coach gifts..you name it..it’s time to Celebrate Fall and I’ve got some easy fun Fall Baking ideas kids will flip for! 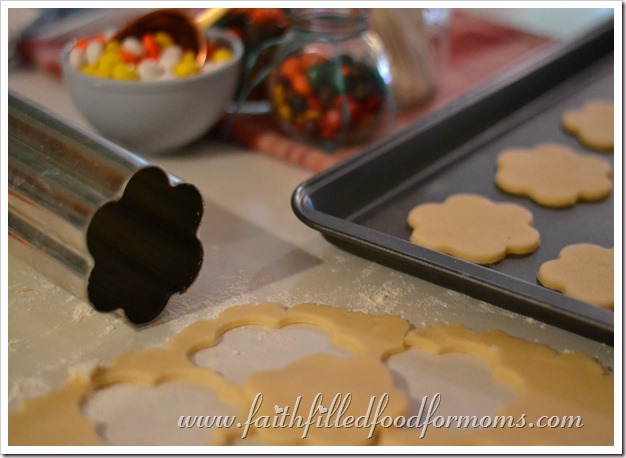 Cookies are a super easy way to get kids cooking in the kitchen! You are going to go crazy wild with all of the new flavors and colors that M & M’s has out this Fall! I could hardly get my little cooking project done with everyone grabbing a little handful every time they walked by! 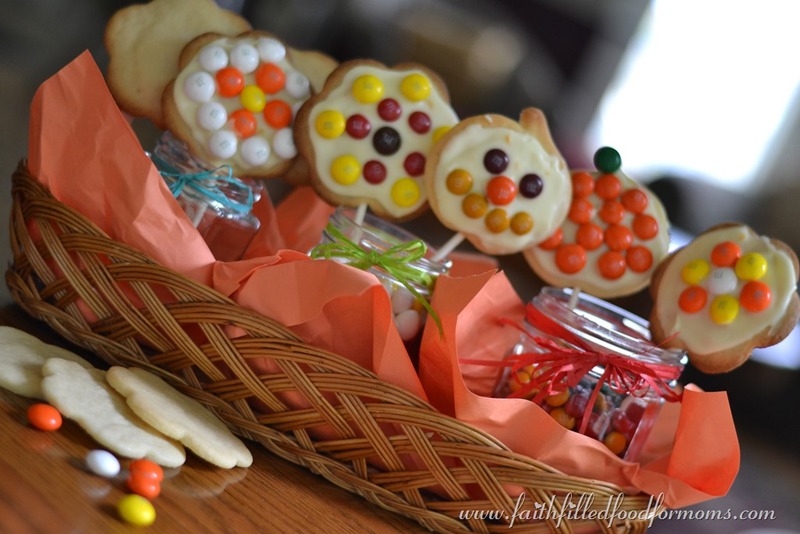 1 Easy Fun Fall Baking Ideas Kids Will Flip For! 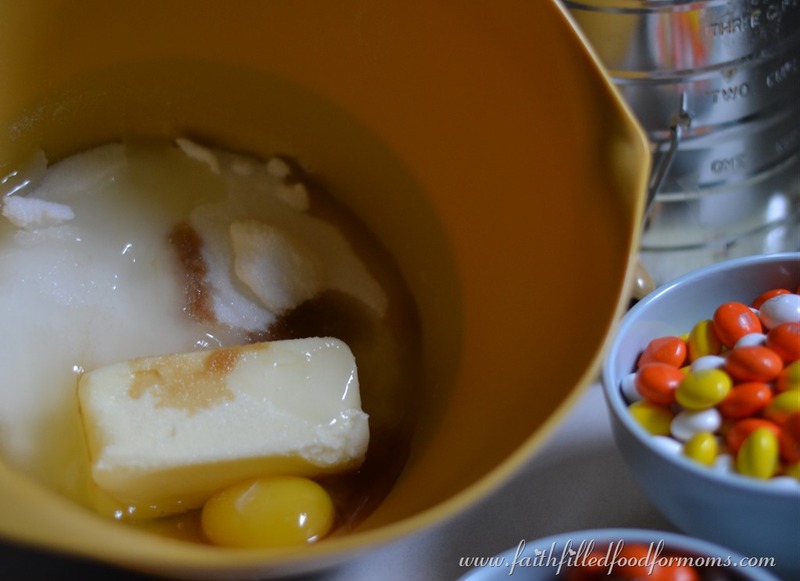 I baked you up three fun recipe creations to use for YOUR celebrations and Fall Baking!! 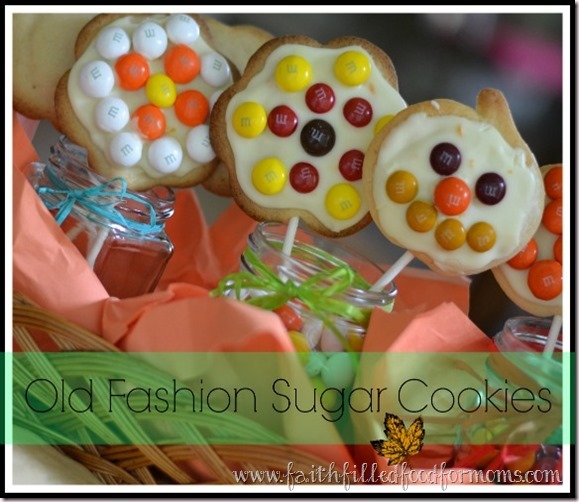 This first one is an oldie by my Grandmother.. a fun old fashion Sugar Cookie Recipe on candy sticks with yummy homemade and natural orange flavored frosting! Creative Hobbies Glass Jars w/ Locking One of the most FUN things I like to do for gifts is to find pretty jars to put these Fall cookies into. If you are giving as a gift then the recipient gets to use the jar for whatever too! 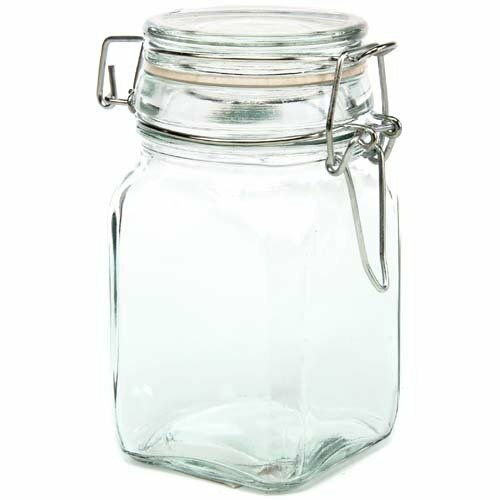 You can use glass jars for just about anything and people LOVE getting them for gifts. 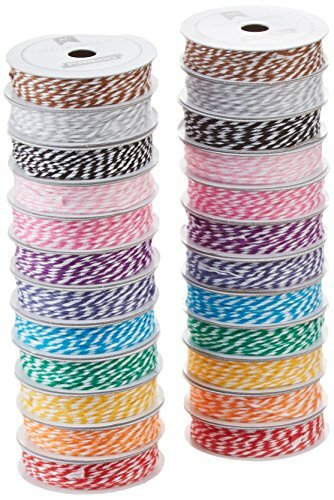 Add some pretty twine and you have a very easy gift with a beautiful presentation. 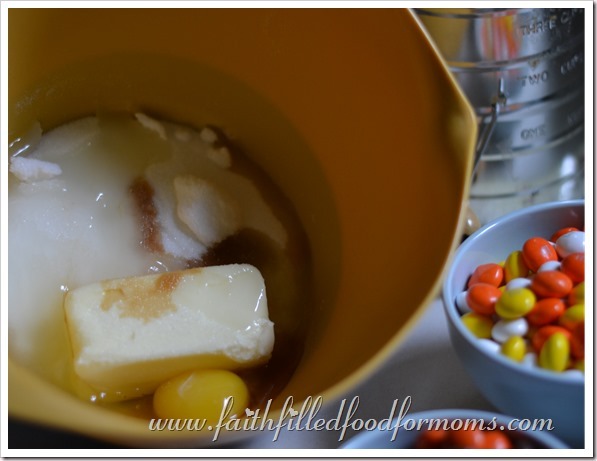 Be sure and add LOTS of cookies AND you can fill the jar with the Fall M&M’s too! 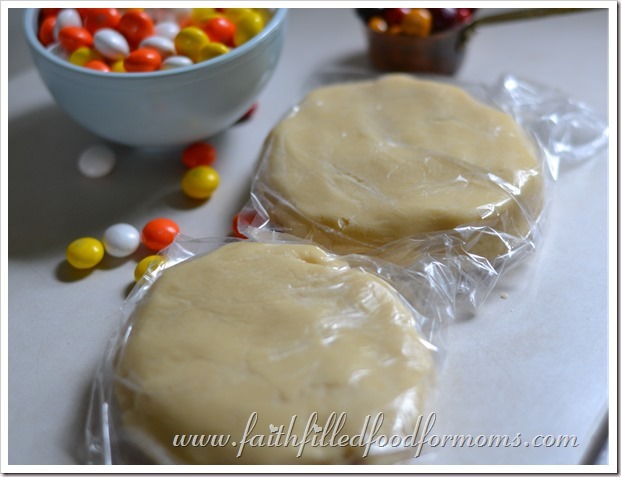 Divide dough into 2 parts and refrigerate for an hour. Any longer and the dough just becomes too stiff. Roll the dough one part at a time to about 1/8 inch thick. 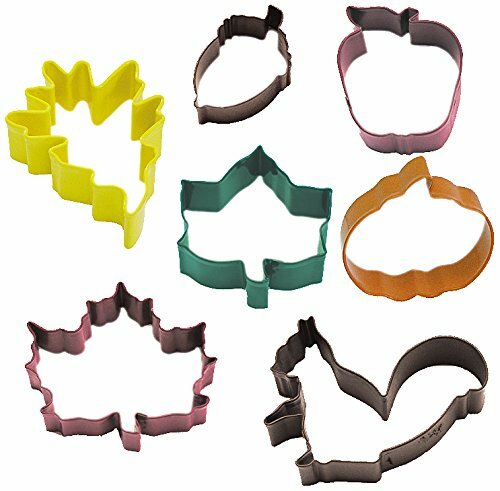 Cut into any shape you would like but Fall Cookies Cutters are always fun for this time of year. If dough seems too stiff just let sit out for about 5 min. It softens really quick. Hint: Make sure your counter and rolling pin are very floury because this softens fairly fast and starts to get a bit sticky..not bad..but enough to be frustrating. To put the cookies on a stick simple put a piece of scrap on one side of the cookie and turn over..press down gently. Bake in a Preheated 375 degrees oven for 8 to 10 minutes. They will brown fast! This is ok if you like them a little crispy..as my fam does. 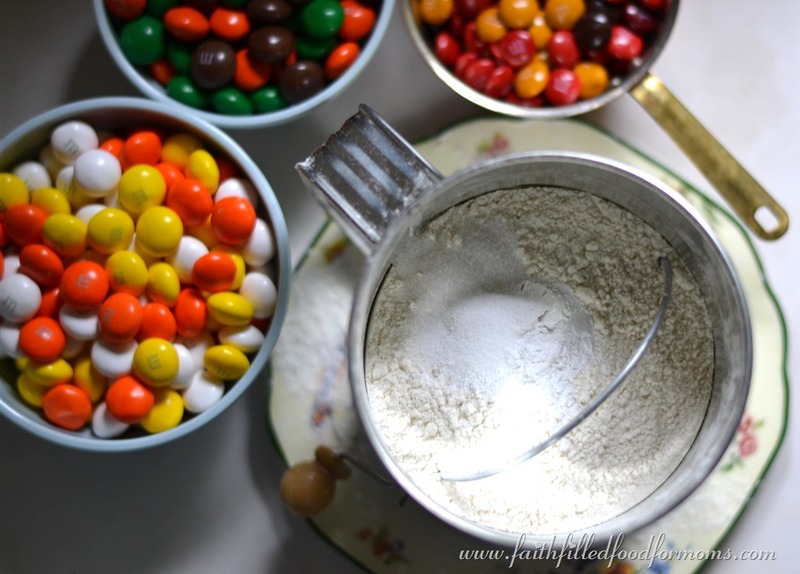 Put all ingredients into a bowl and mix! If too thin add more powdered sugar if to thick as a DROP more of OJ. This is so deelish and refreshing! 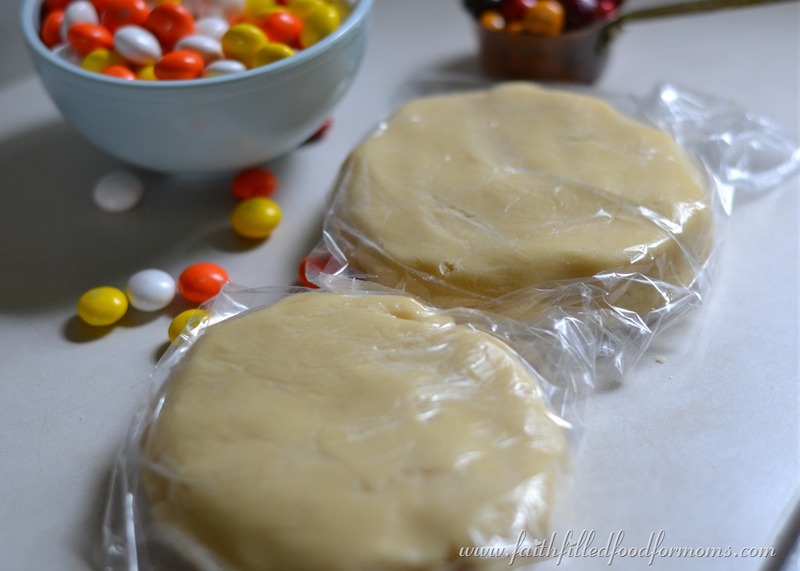 Now frost cookies and embellish with all of the yummy M & M colors and flavors! 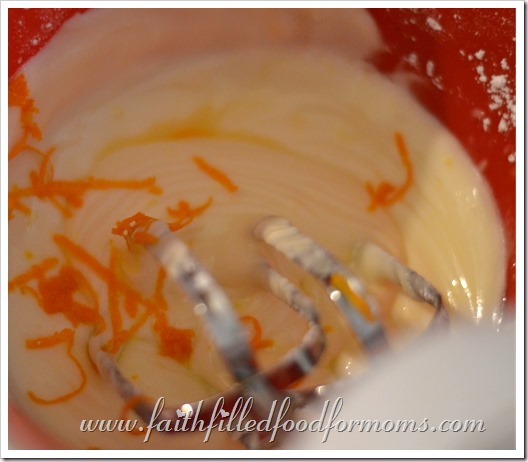 This homemade orange frosting goes well with the new flavors! 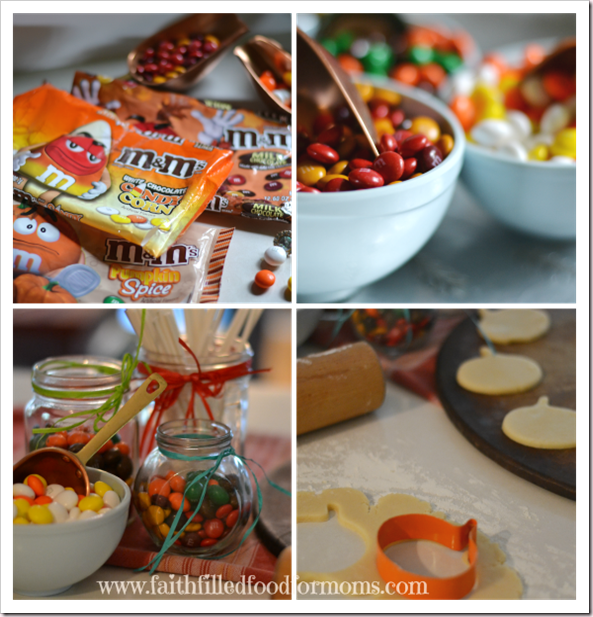 Now, you put into a cute mason jar full of the M & M’s and sell, gift or decorate a Fall table! 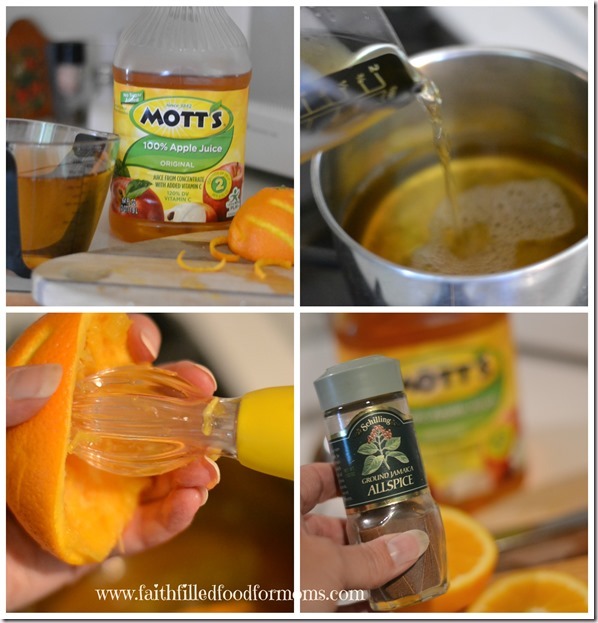 Then I cooked up a deelish mild Spiced Apple Orange Juice..you are going to love! Put all ingredients in a saucepan and bring to a boil for 1 minute. 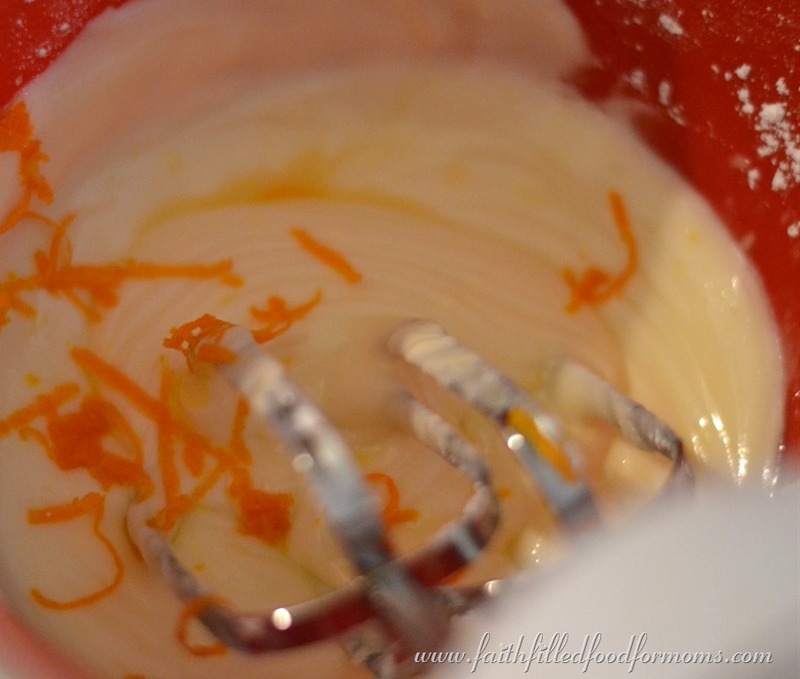 Remove Orange Peel and serve. Let cool down before serving children. This Spice Apple Orange Juice recipe makes 2 1 cup servings. So double, triple if you want to make more! Very quick and easy. Enjoy your Fall..it only comes once a year! I know..kinda dumb! HA! What flavors are your fave? What flavors would you like to see for next Fall? Just curious. Hi Colleen! Oh I can’t think of anything I would love more than to have you as a neighbor!! We would have so much fun! Our kids would get along great too 🙂 Hope all is well with you and thank you for stopping by! Blessings! These look delicious and adorable! Pinned it! Thanks for sharing at Family Fun Friday! Hi Debbie! Thank you so much! They were really fun to make 🙂 and Deelish too.. Thanks for stopping by! Blessings! I love those cookies! I’ve never been good at making sugar cookies and decorating them but it’s on my baking bucket list! And OMG, you found the pumpkin spice M&Ms? I thought they were an urban legend! Awww Amy you are so sweeeet! 😀 These really are so easy..you would love it! and YES I found the elusive Pumpkin Spice M & M’s and boy oh boy they are YUMMY!! So were the Candy Corn ones! Thanks so much for stopping by! Blessings! I LOVE THESE!! great sweet treat for the Fall season and perfect for a sweet surprise, too! 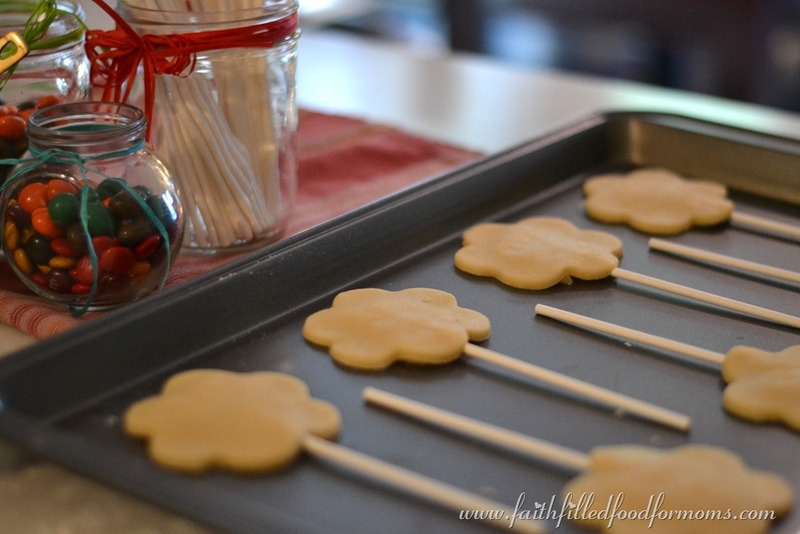 Something about putting the cookies on a stick just makes them so much more fun! Pinning. 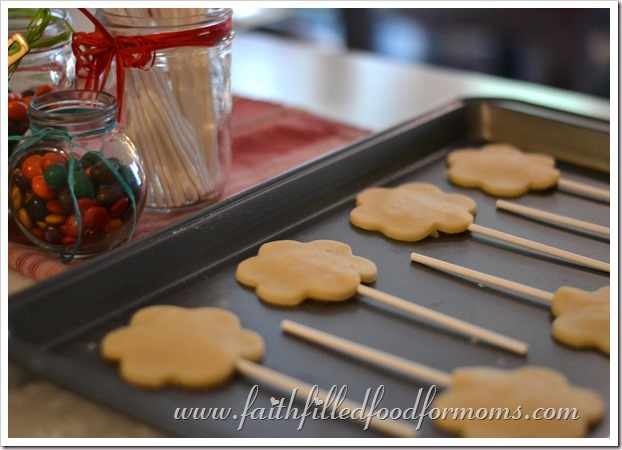 I love the idea of cookie pops! These are perfect for our upcoming fall fest! Yummy! Emma wants to make this cookies and I think I’ll oblige! These are so cute, don’t you love those m&ms? These are the cutest cookies. I love them. 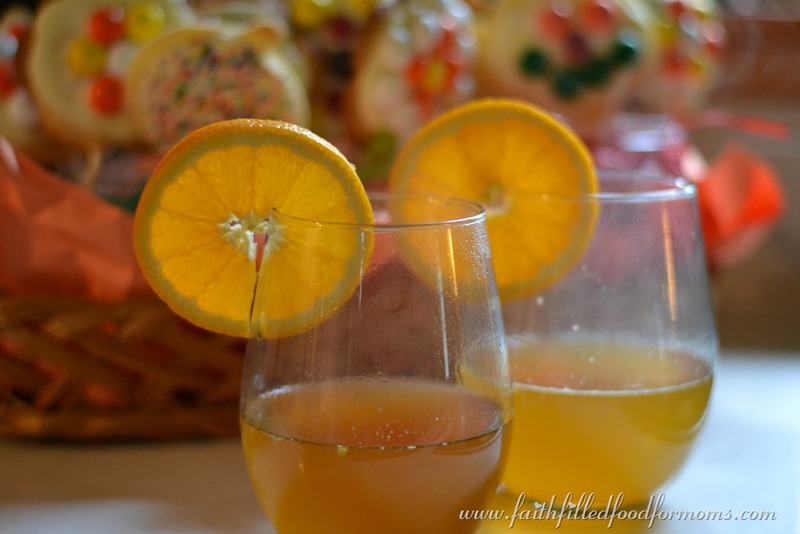 So great for a fall party. 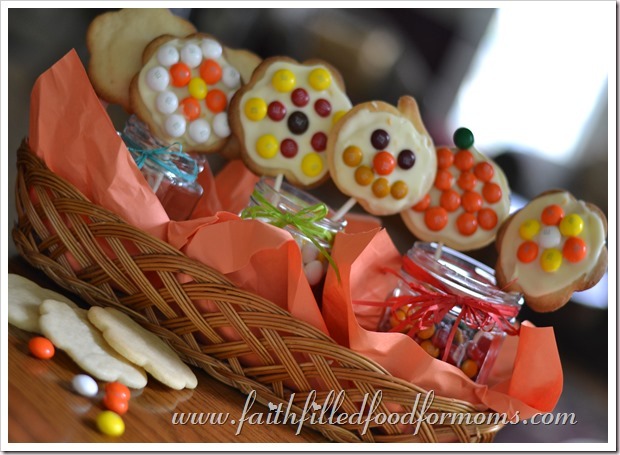 These cookies would be so fun for any fall party! I’m sharing them on my Facebook page tomorrow. Your cookies are so cute. I am going to have to print the recipes. I especially want to try that orange frosting. Thanks for sharing. These cookies are so cute I love that they are on a stick! We are so excited that you linked up to Merry Monday this week! 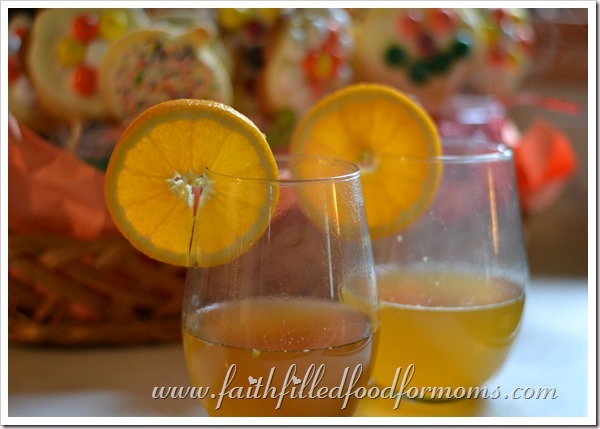 Sharing your post today on my G+ Come back next Monday for another great party share! party opens Sunday night! Have a great week!